If you want to play on mobile set the browser to "Desktop Site" instead of the regular mobile site. 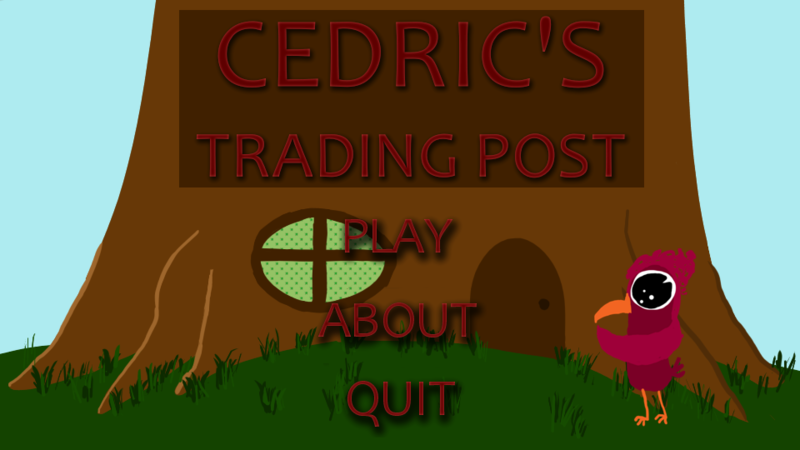 Theme: "Shopping game but without Currency"
Cedric's Trading Post is a game about trading goofy items with friendly characters. Find out what each character likes and try to collect all the items. Made in 48 hours by Ben Flavell and Emily Duff for the GMTK jam 2018. 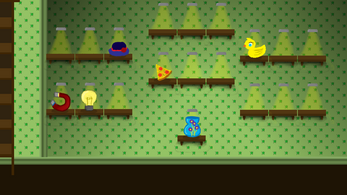 Click and drag to move items around. Let go of an item to put it on a shelf for storage, on the table to trade or on a museum shelf to lock it in. Click or drag an item to the sides of the screen to scroll between the museum and shopfront. 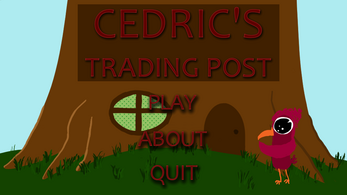 Click on the bell to propose a trade. 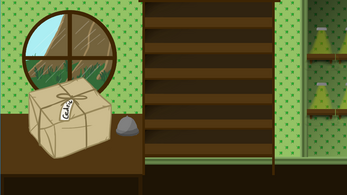 Customers might want to trade for items they don't want if you offer a lot of them. 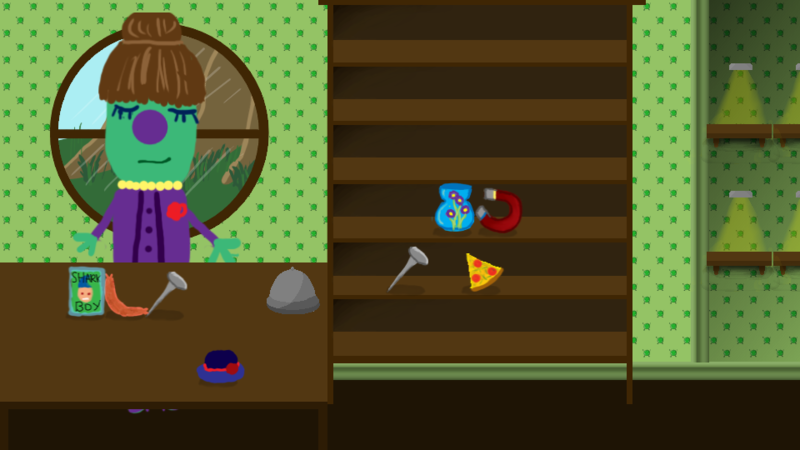 Can push items from the floor onto the table. About page doesn't pop up (fixed in unreleased build). Customers' voices are only played in the left ear (didn't have time to fix). Allow rearranging items in the museum. Really chill and relaxing game. In the tutorial, it says that the museum is on the left but its actually on the right. Luckily i found it and was able to play. I really like the art.